History: Bella is half Irish (dam Sunflower Suzy is Irish). Her sire is the famous Dodgem By Design. She is from both the Gable Dodge and Molotov lines. 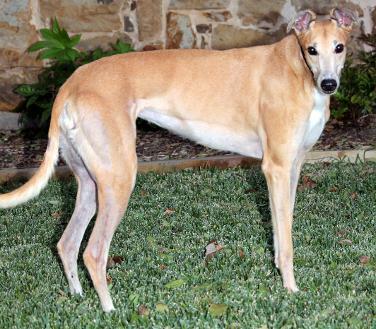 That must be where she got her greyt looks – big brown eyes and cute perky ears. 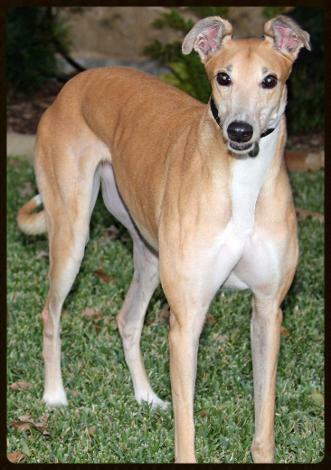 She has a greyt pedigree but was not much of a racer (17 races). Bella was adopted by a family from a group outside of Texas but surrendered to TAGS because the adopting group is no longer in operation. Her family’s travel schedule was not consistent with keeping this sweet girl as part of the family. She was adopted in April, 2012 and lived in that home as a single pet. Bella will now be looking for her “real” forever home. 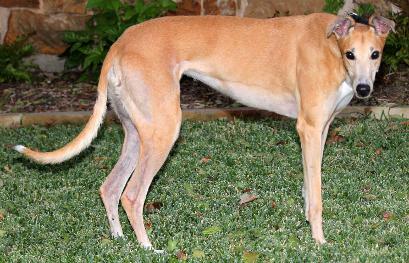 Bella appears to be a friendly, outgoing girl although she may not be fond of storms. We will see the next time bad weather blows through. Please welcome Bella to the TAGS family. April 9, 2016 update: Bella went to the Rainbow Bridge due to Osteosarcoma. We are very sorry for her families loss. December 17, 2013 update: Bella has been adopted. Congrats to Bella and new family. 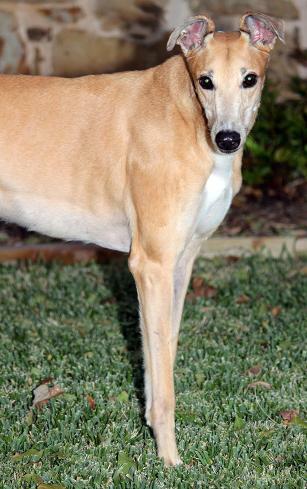 November 13, 2013 update: Bella was surrendered to TAGS to find her lifetime home. Bella is such a great dog. 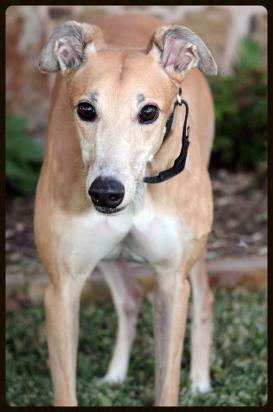 Upon arrival to our house, she was greeted by 2 Greyhounds and 2 Italian Greyhounds. Everyone got a good sniff in and went on about their business. She is a very well behaved, quiet girl. She got the routine down quickly and knows the bathroom schedule. Bella seeks out affection from everyone in the house and chatters her teeth when we are petting her. It’s very sweet! As far as the cats go, she gave Mr. Bojanges a good sniff and left him alone. She has no interest in the cats. Any family would be lucky to have this sweetie.